Our new Mineral Filter cartridge now adds additional health-giving minerals and provides a higher PF for better tasting more Alkaline Water. 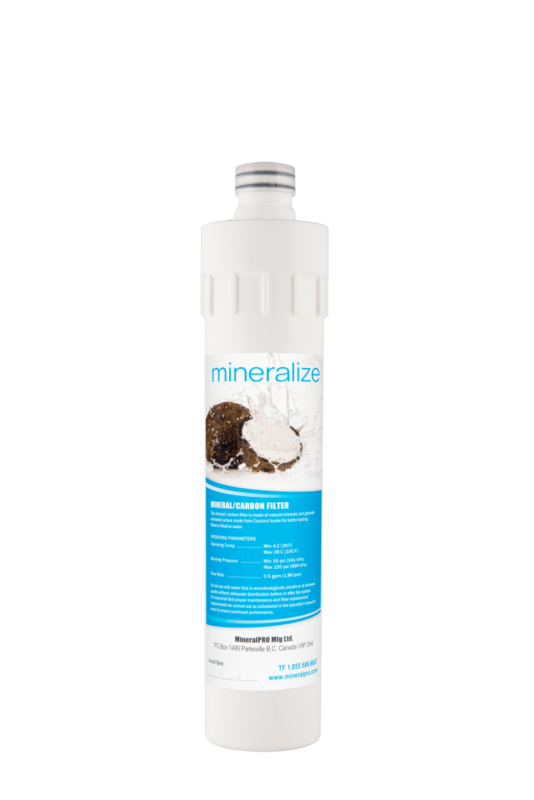 This mineral alkaline filter has two stages: stage 1 replenishes the purified water with healthy natural minerals and balances to a healthy alkaline pH level. Stage 2 consists of natural granular carbon from coconut husks that provides a polishing to ensure the drinking water has great taste and spring water quality. Compatible with the MineralPRO Reverse Osmosis (RO) and Ultra Filtration (UF) Systems.